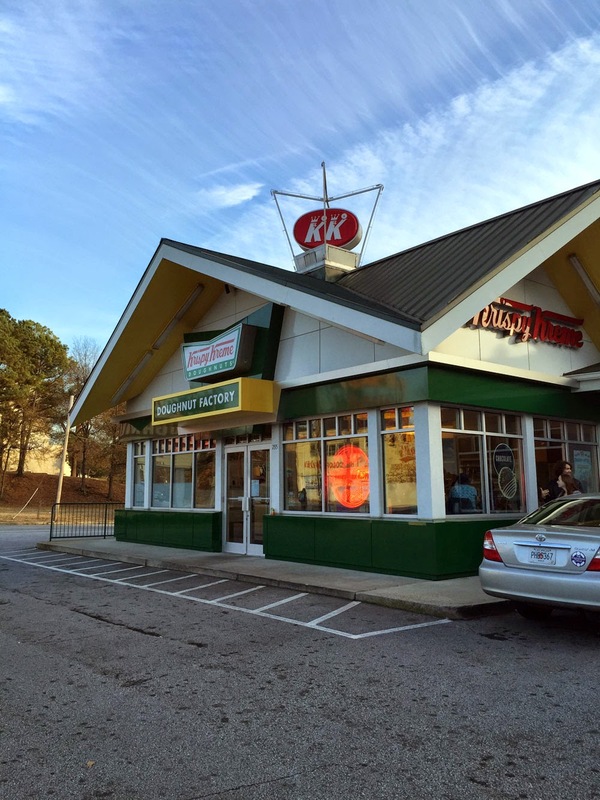 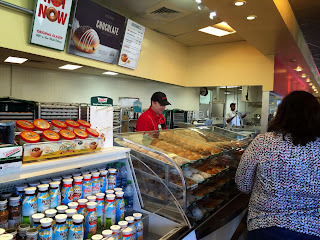 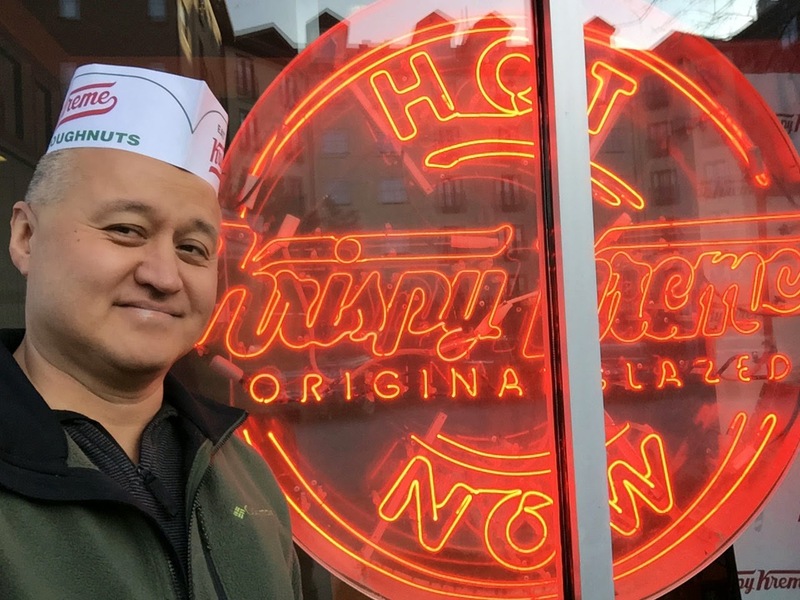 This is one of the oldest Atlanta area Krispy Kreme Doughnut locations still standing and viable. It can be found at 295 Ponce De Leon Ave NE, Atlanta GA 30308. 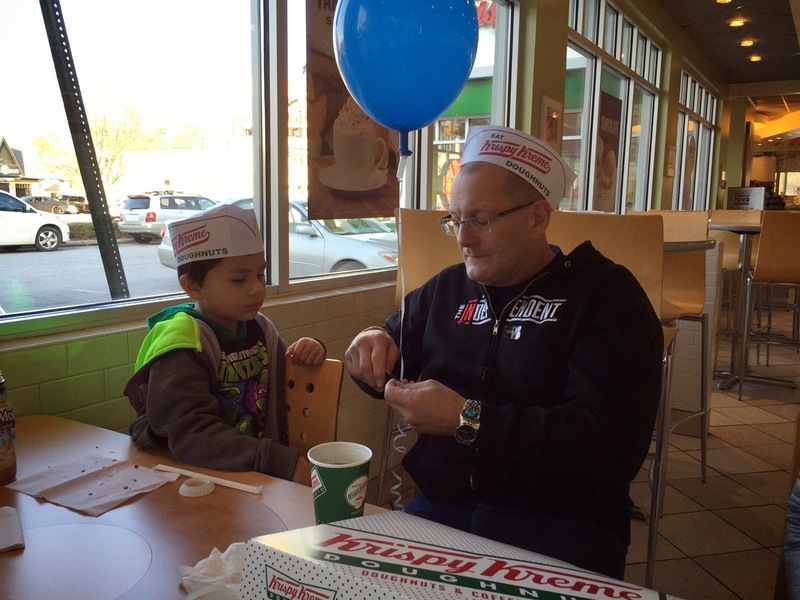 It's also the first Krispy Kreme that I ever visited during a short stay in Atlanta before moving here in the mid-80s. 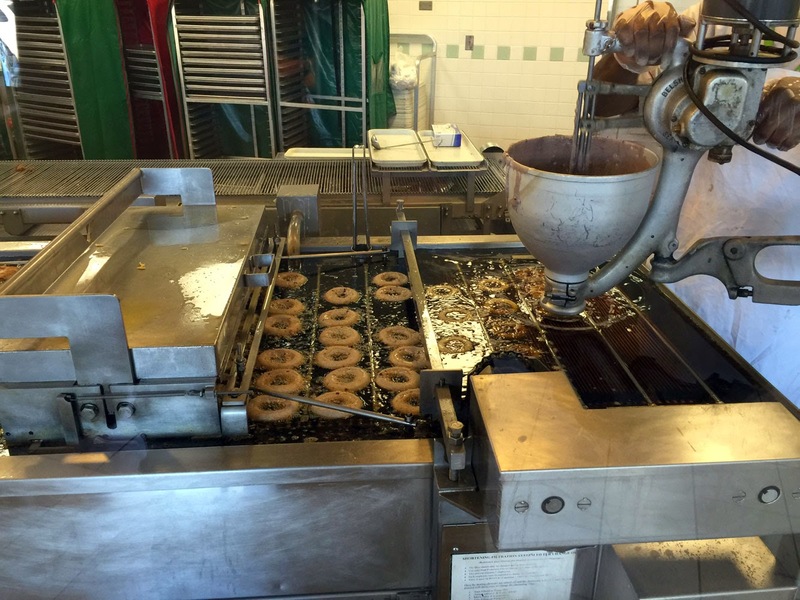 Until I had my first hot donut, I had no idea what I've been missing, growing up with the likes of cake donuts found at my local, small-town bakery. We'll have none of that now - the Krispy Kreme doughnut (and yes they use the proper spelling here - none of that do-nut label you find at other, inferior establishments) is produced with dough that expands when heated, providing a delicate, less-cake interior texture. 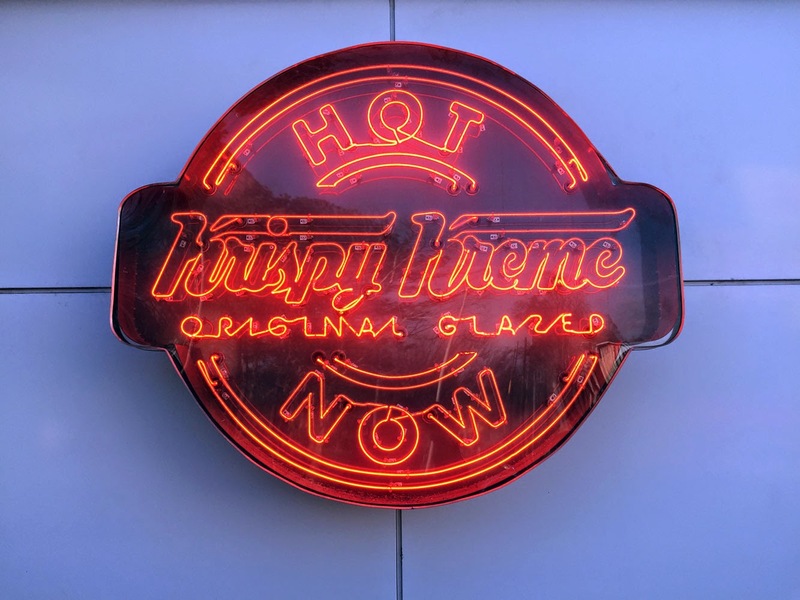 Add the hot glaze and you have something really special. Full of neon lights and brilliant graphics, this KK still have its classic facade - none of that current Dwell-modern look here! 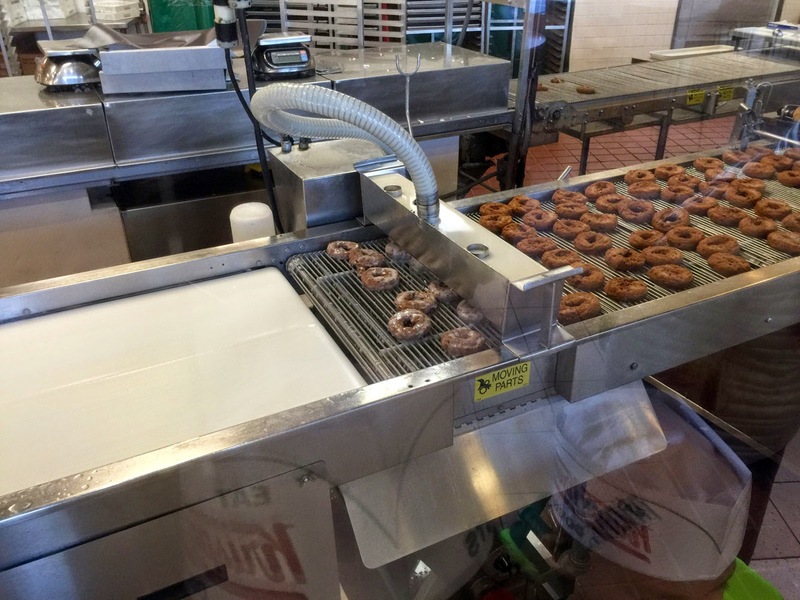 This is still an ongoing operation where you can see huge conveyer-belt equipment that moves the doughnuts through various stages until purchase. 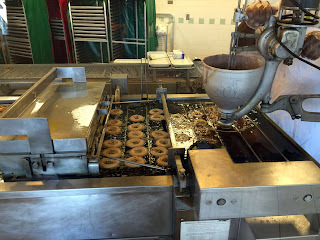 It's quite a treat to stand on the other side of the glass partition and watch the skilled workers make magic in milled-flour and confectioners sugar! 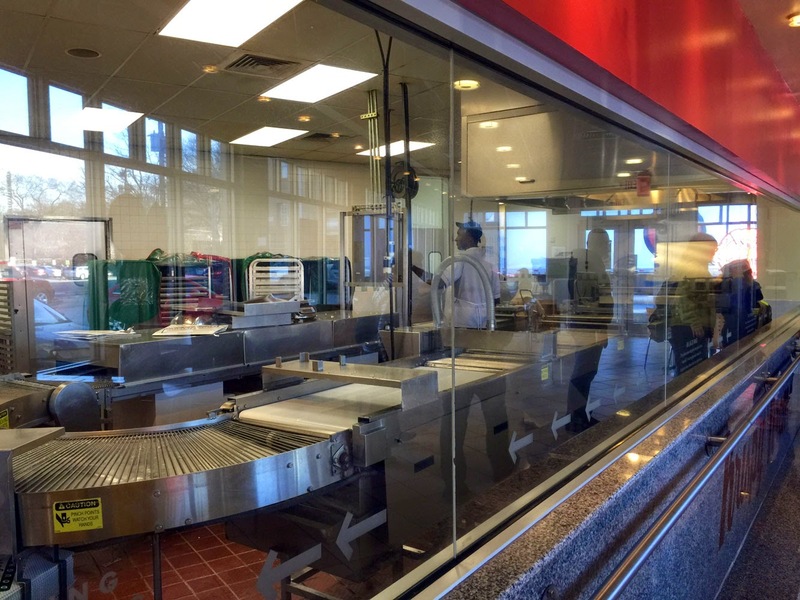 From what I recall, it originally had more equipment, but like so many restaurants much of the Krispy Kreme operations have moved to dedicated production facilities where the doughnuts can be made in massive bulk (it's also where the doughnuts sold in grocery stores comes from). 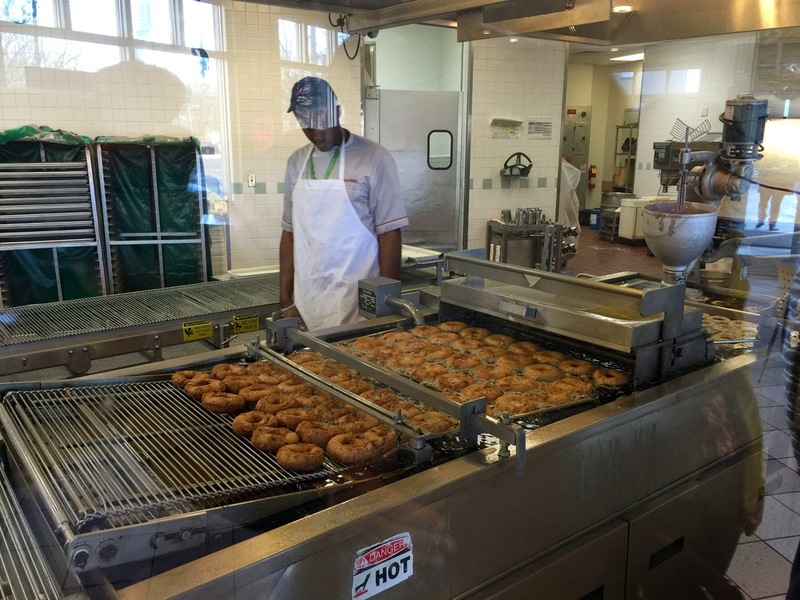 No issues with those doughnuts, however you do miss out on the hot glaze experience that no microwave can reproduce. Old Fourth Ward can be a little sketchy, especially at night - it's not uncommon to have someone in the evenings ask for a handout - if you intend to visit this delightful location plan your outing during the day, or better yet, near twilight so you can enjoy the incredible light show. On weekends the interior is often full of balloons and free paper hats - do partake as it's another way they make the visit special. 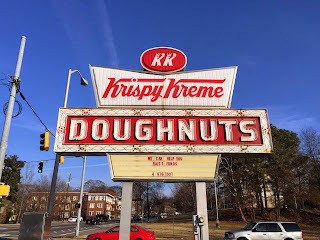 Or better yet, take a trip to the Varsity first and down a couple of flattened chili dogs before coming here for dessert (don't forget the onion rights or frosty orange for the trifecta!) 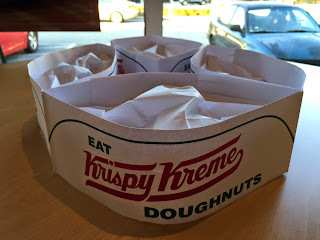 and ask for a paper hat. 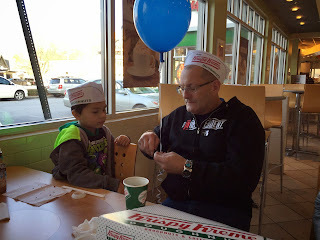 You can then swap hats and have two keepsakes! Service here is very good although at times the lines can get fairly long. I like to get a dozen (make sure you bring friends!) 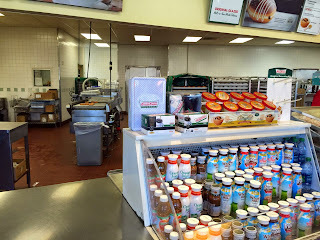 of the glazed (and maybe a second dozen of the specialty doughnuts as they often have a 2-for-one special on the boxed dozen) but really, the glazed are where-it's-at. Or better yet, get whatever flavor is coming off the conveyer belt - which brings me to the "hot doughnuts now" sign - look for that fabulous red beacon to ensure you're getting-the-goods. For the glazed - I can do 2, maybe 3 before my sugar levels spike to atmospheric levels (one isn't quite enough and three may be a bit too much). 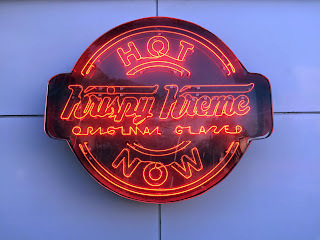 Bite into a hot doughnut and allow it to melt in your mouth. 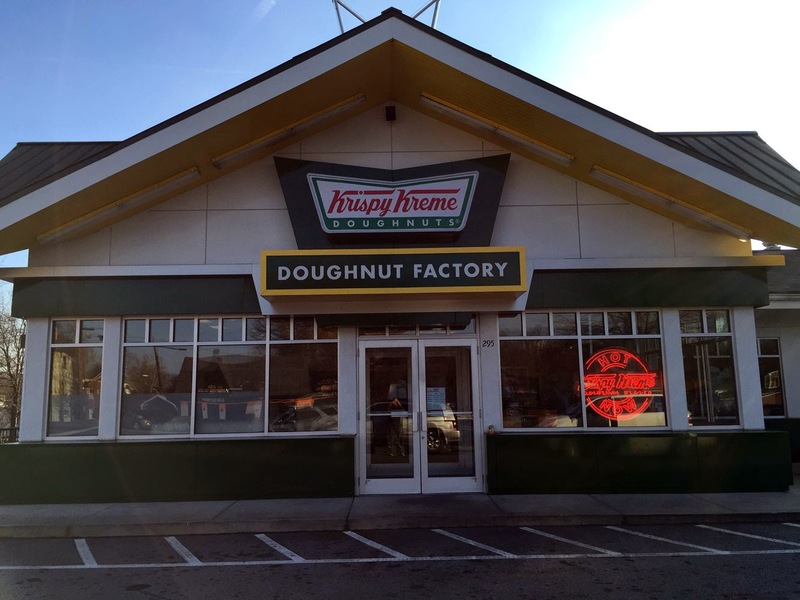 If there's a heaven on earth, this might just be a brief taste. 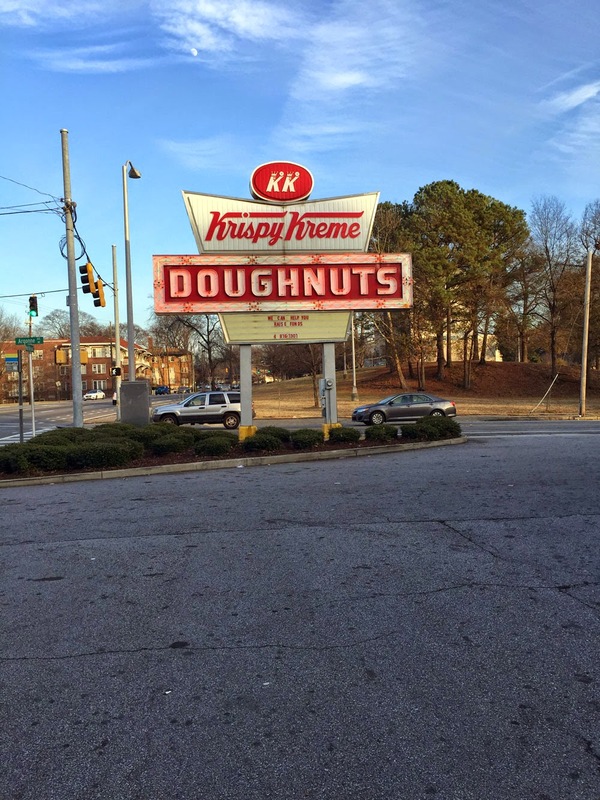 Are there better doughnuts in Atlanta? 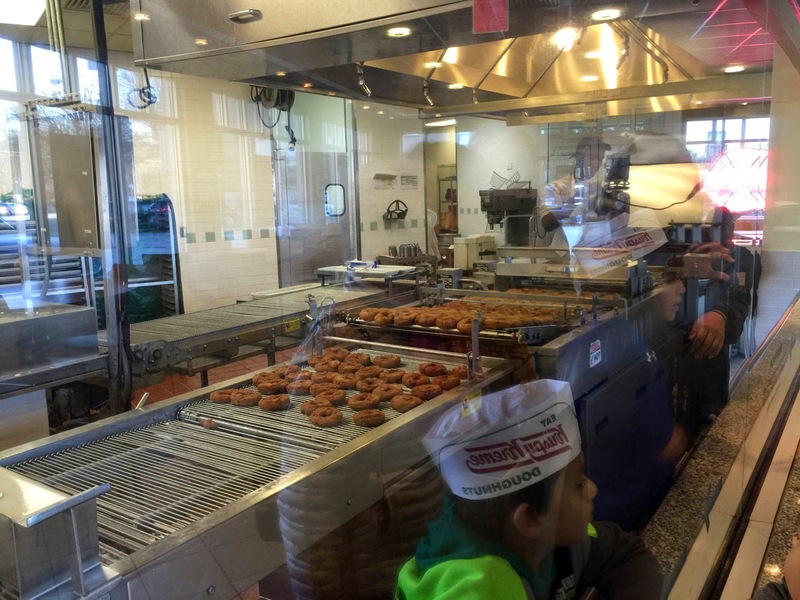 That's a tough one - if you haven't tried Sublime or Revolution then you are indeed missing out. 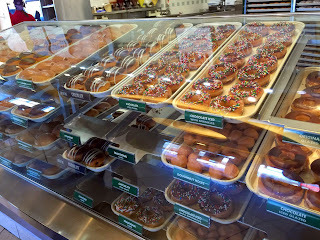 Let's just say that these are a different type of goodness, with variety being the spice of life!